Many claim that traveling in an RV is cheaper than staying in a hotel, but is it really? Everyone loves to travel, whether you are working or retired. When I became a full-time writer, it was my wish to travel for several months throughout the year. This was one of the main reasons that I bought my RV. Not only are they comfortable and flexible, but they also let you travel at your leisure. You can even spend the night at any interesting sights that might stumble across. Plus you always get to sleep in your own bed and enjoy the comforts of home while being on vacation. The number one reason that I bought an RV was because I thought that it would save me money — and it does. But have you even wondered how owning an RV compares to staying in hotels, or renting an RV for vacation? It is important to note that small RVs (less than 25 feet) are used in the test. They are the most cost effective, and although small, comfortable enough for a small family to use. All the options were treated to the same calculations. First, the cost per mile of operating each vehicle. This number is reached by adding the cost per mile of owning the vehicle to the cost of driving the vehicle. The last figure is based on the amount of fuel that it uses and the current average cost of gasoline. At the time of the test, the average fuel cost was $2.70 per gallon. The next figure is the daily cost of travel, based on the average camping and hotel rates and money spent of meals. For the meals price it comes down to how much it costs to prepare meals in an RV versus going out to eat when staying in a hotel. This test is based on a traditional driving vacation where you use your own vehicle, eat out, and stay in hotels. For this example, the vehicle costs $20,000, has 20,000 miles on it, has a salvage value of $2,000, an expected lifetime of 150,000 miles, and annual maintenance costs of $900 over the course of 15 years. Using all these figures, the capital cost of the vehicle comes to $.24 per mile. 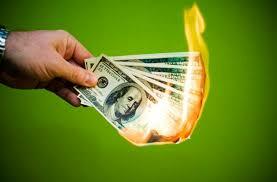 If you get 30mpg and your fuel costs are $.09 per mile, your total operating costs come up to $.33 per mile. 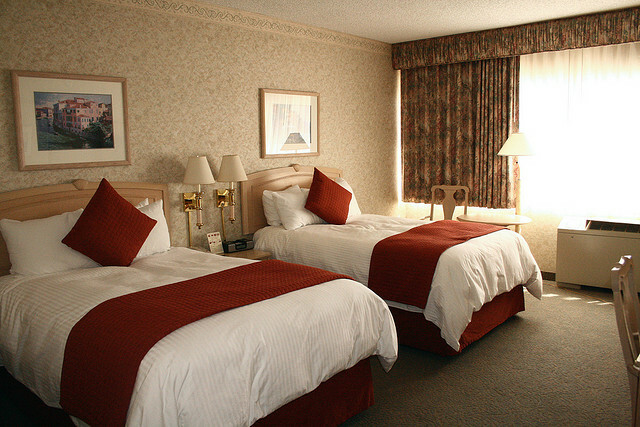 The national average hotel room rate is $121 per night. Add this to the assumption that eating out costs $60 each day, and you have a daily cost of $181. It is important to note that these costs are much higher if you choose to stay in popular vacation spots. The example used here is a used RV purchased for $80,000 with 20,000 miles on it. It has a salvage value of $4,000, an expected lifetime of 150,000 mile, and yearly maintenance costs of $1,700 over the course of 15 years. Therefore, the capital cost of the RV is $.078 per mile. Assuming that the RV gets 15mpg, the fuel costs will be $.018 per mile and the total operating costs are $.96 per mile. With an average campground rate of $25 per night and grocery costs at $30 a day, the daily costs are $55 to vacation in your own small RV. The last item on the agenda is for us to calculate how much your vacation will cost if you rent a small RV. First of all, there are no ownership costs involved. Based on fuel consumption, the total operating cost is about $.18 per mile. That is, assuming you stay under the average of the 100 miles per day allowance that you get for a rental fee. 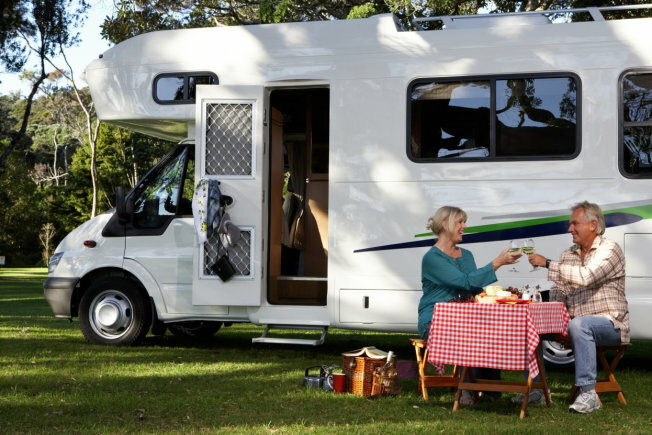 A survey of RV rental prices at several dealers concludes that the average rental rate for a small RV is approximately $205 per day. Adding the above campground rate ($25) and the costs of meals ($30), this brings the daily costs come up to $260 per day. The above data can now be taken one step farther by comparing each scenario over the course of a 2,000 mile trip taken in 21 days, and a 500 mile trip taken in a week. 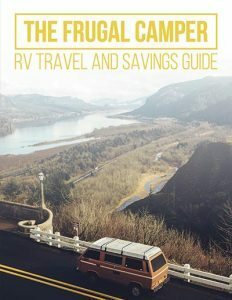 For both trips, owning a small RV is the clear winner, with costs of $3,077 and $865 respectively. Next up is the traditional vacation at $4,446 and $1,433. 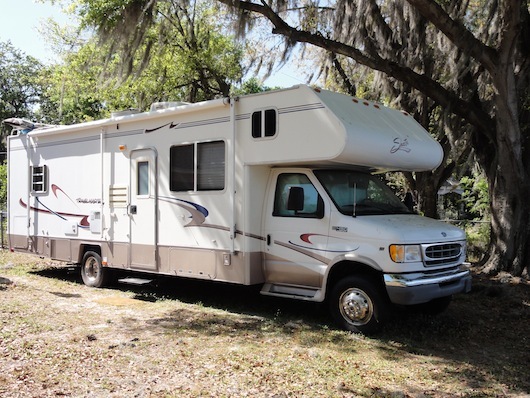 The rented RV comes up last with $5,820 and $1, 910. The findings for this informal study show that RV ownership does save money on your daily costs. But, you will lose some of that money in mileage. So while an RV is more expensive to drive, it will save you money everyday on meals and lodging. Your exact saving are dependent on the nature of your travel. 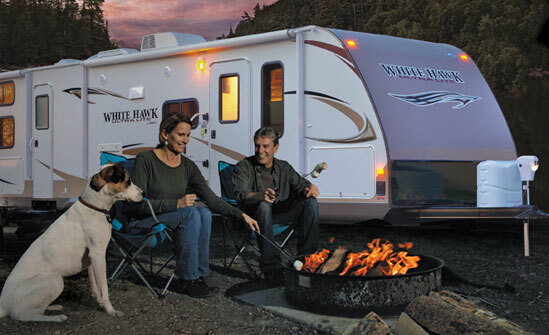 Long duration, low mileage trips are cost effective in an RV. The breakeven point comes at around 200 miles a day. If on average you drive less than that, an RV beats the traditional vacation. Thus, the cheapest mode of extended travel is owning a small RV. But it’s important to note that you should try before you buy. Also, you should never go into debt to finance travel or vacation costs. The last thing that you need is more bills to pay after a relaxing vacation. Happy RVing!